Established in 1999, Diamond Plumbing has been servicing the San Antonio and surrounding area with professionalism in the market we represent. Originally starting out in the new housing market, we have had the opportunity to work with several great home builders for quite some time and have maintained the integrity of those relationships through communication and performance. With our customers in mind we understand the importance of service for new home owners, therefore our warranty department is stellar and one of the best in the industry. Through our warranty process we have expanded our residential services to include plumbing service calls, fixture repair and replacement, as well as remodels and additions. We are locally owned and operated and we have created a reputation of reliability and quality workmanship. With over 200 years combined experience in the plumbing trade, several master licenses and multiple licensed plumbers within our staff, we understand exactly how it makes our company stand even stronger as a team. We are an A+ BBB accredited business as well as members of the NFIB and the PHCC. When you need a plumber in San Antonio to provide you with urgent assistance, you can trust the staff at Diamond Plumbing. Our Technicians are licensed to perform work in the State of Texas and capable of handling any plumbing problem that may arise. 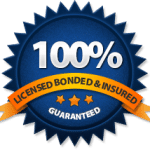 Our company is licensed and bonded, registered with the Better Business Bureau, and we always take pride in every job we do.